If you've ever sat around the kitchen table after eating way too much of that crispy fried chicken mother cooked for Sunday dinner and dared not move because you might miss the rest of the story, sat around a campfire listening to a crackling fire listening to the tales of Uncle Joe who belted details while simultaneously cackling like a wet hen, moved an ear closer to hear grandpa as he reached to the very depths of his memory to get the story just right, then you should be here. Southern storytelling. Traditional and contemporary. Come to Young Harris, Georgia, and cackle like Uncle Joe. 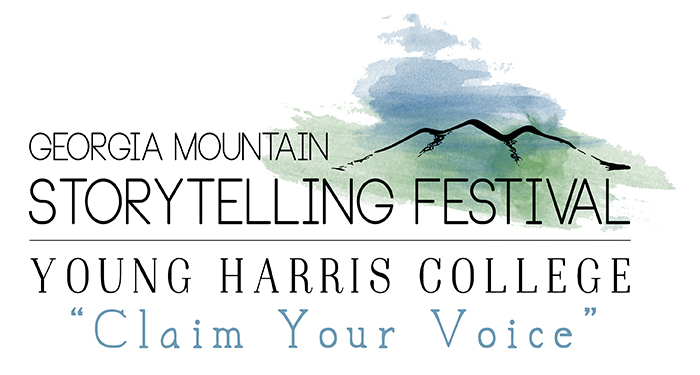 Sponsored by Young Harris College (YHC), the festival showcases the art of Southern storytelling with a particular focus on Appalachian stories. There will be storytelling and musical performances, children’s events, and workshops so that community members, visitors, and students of all ages and from all disciplines will not only learn about the tradition and history of our region through storytelling, but also have the opportunity to become part of its preservation. 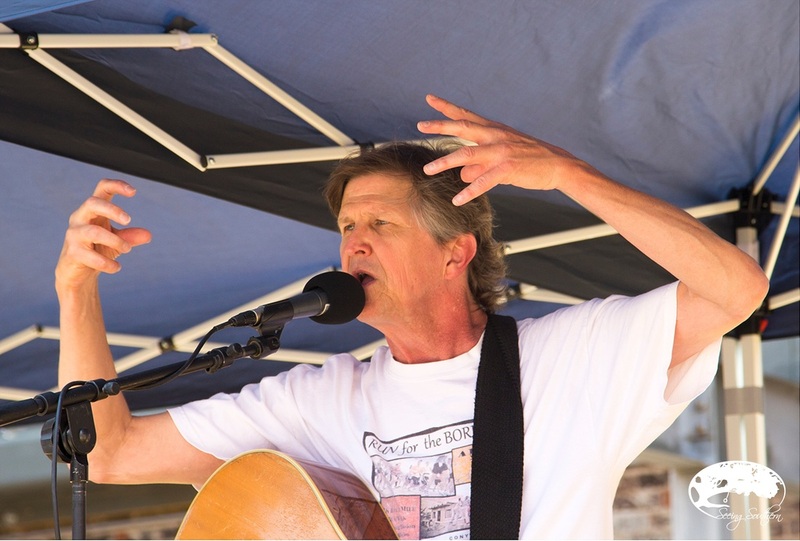 This year features Lyn Ford, well-known Affrilachian teller, celebrated Appalachian musicians David Holt and Josh Goforth, environmentalist Doug Elliot, Circle of Excellence Award-winner Andy Offutt Irwin, balladeers Sweet Sunny South, and a special panel of YHC student tellers. 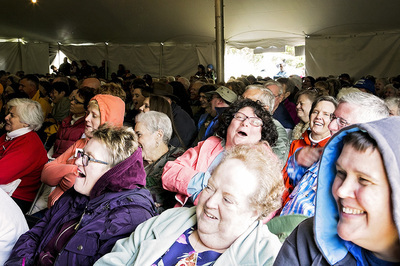 The festival begins Friday, April 1, on the YHC campus and continues throughout the day on Saturday. Find the complete event schedule here. Don't forget ghost stories Friday night! I was born and raised on a farm in rural Ohio. My mother's brother, uncle John, brought my little brother, Ike, and me to visit the Smoky Mountains and Appalachia when I was eleven. It was love at first sight. I have also had the chance to live in mountains of Colorado and Alaska and on the edge of the Ohio River. It is the Appalachian mountains that have always called. The familiar wall hanging, "The Mountains Are Calling And I Must Go" summarize the pull to this area which I have always experienced. My stories come from many sources. I am curious and listen for the memories and messages of others. Some stories are from my personal life; from growing up on a farm, from listening to family tales at breakfast gatherings and holiday meals, from the "characters" that make up my family, and from living with children and grandchildren. Some of my stories are established fables that hold life lessons and that have been told over and over for many, many years; and, other of my stories are creative works of my imagination from pulling the best and "not-so-best" parts of my life together. The story I am telling on Saturday is entitled, "The Legend of the Great Owl and the Boy...Living on the Edge of an Enchanted Forest." In summary, a young boy who loves exploring the forest near his home where he lives with his parents finds himself in a frightening, threatening situation, alone and in need of help. He calls out for help. What happens next leads him on an adventure, saves the little boy and teaches him a life long lesson. It is a lesson that can also change the lives of listeners in this year's festival audience. 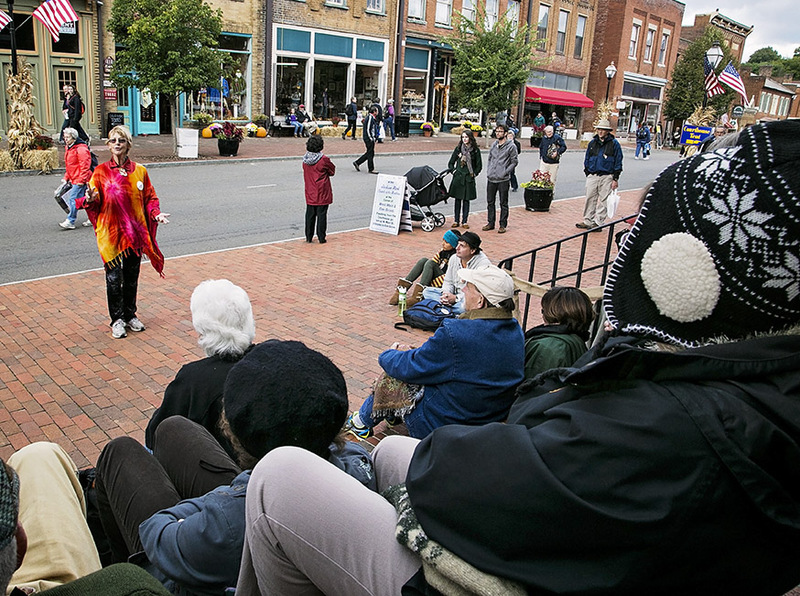 The festival is important because it creates a community of students, local residents and visitors from across the region to celebrate the power of the spoken word, to participate in the rich tradition of Appalachian storytelling and music, and to help preserve this tradition by "claiming our voice" by sharing their own stories. I can't wait to hear all of the fantastic tellers on campus this year. I'm particularly looking forward to Andy Offutt Irwin's stories of his Aunt Marguerite because she's a pistol--wise and foolish; Sweet Sunny South's crankies of the poems of Union County native Byron Herbert Reece are a highlight; I love watching Lyn Ford transform a group of skeptical, I-will-not-wave-my-hands-in-the-air college students into laughing, unselfconscious participants; Doug Elliott knows everything about Appalachian plants; and David Holt and Josh GoForth will have us on our feet. Stories communicate our shared humanity, transmitting our history from one generation to the next. If young people don't tell stories, then the history of our youth will only be told through the lens of wisdom. Something is lost if you don't share you experiences as you have them. Do you like to laugh? Do you like to identify with another person? Do you like learning the history of a place you will never visit? Do you like losing yourself for an hour at a time because you were too entertained to check the time? Come to the Georgia Mountain Storytelling Festival, you'll be surprised how little that covers what you'll see. I think we have really missed out on the art of listening to stories in our generation. We are in a world that wants to hear the message as quickly as possible. We text people instead of calling them because it is quicker. We watch movies instead of reading the book and we pass up on the opportunity to use our imaginations to paint the picture for us. Storytelling is a way to gain all that back. We are able to take some time away from everyday life and simply sit and listen. We allow ourselves the chance to use our imagination while listening to stories and to be entertained while learning. The moral of course is important, but the journey to that moral is sometimes just as important! Stories are also often times passed down from generation to generation. It is so cool when you stop and think about the fact that you are listening to the same stories your parents, grandparents, and great grandparents listened to. Some of my favorite storytellers are my students.They come from such varied backgrounds, and it's always interesting to hear the stories of their lives. One of my favorite stories is actually an on-going one in my home. My husband and I have two young sons, and every night, we tell them part of this sprawling adventure story in which they are the main characters. It ends on a new cliff-hanger every night, and the boys are always eager for the next installment. Storytelling isn't just something that people do; it's who we are. 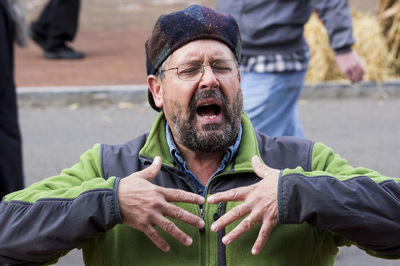 Telling and receiving stories bonds people together, whether at home, at school, at work, or at festivals. For more information, contact storytelling@yhc.edu or visit them on Facebook. Visit their website here, and see you April 1, 2016!